How do I enable and manage additional CRM workspaces? If the account owner upgrades to either the "Pro" or "Premier" plans he or she will automatically have this feature. Once enabled, you will see a down arrow in the top left corner of your Wealthbox screen beside your firm name. Click the green “Create Workspace” button. Click “Workspace Settings” to the right of the new workspace. 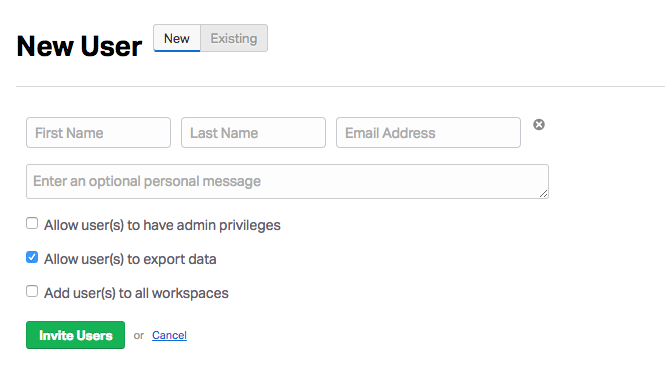 Be sure to choose whether you want the new user to have admin or exporting privileges.